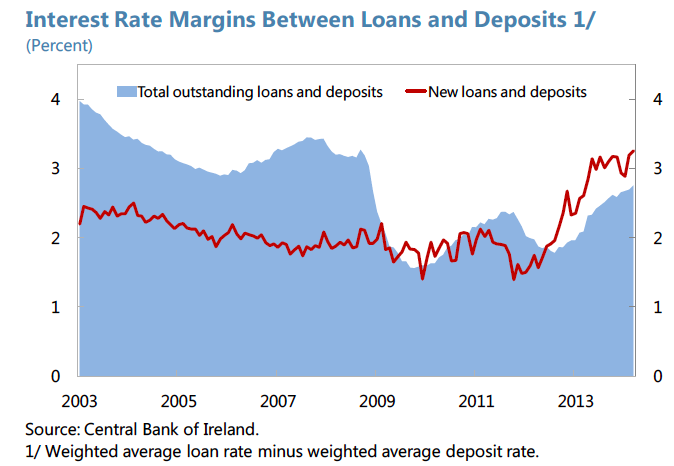 In previous two posts (here and here) I looked at the IMF's assessment of Irish banks. 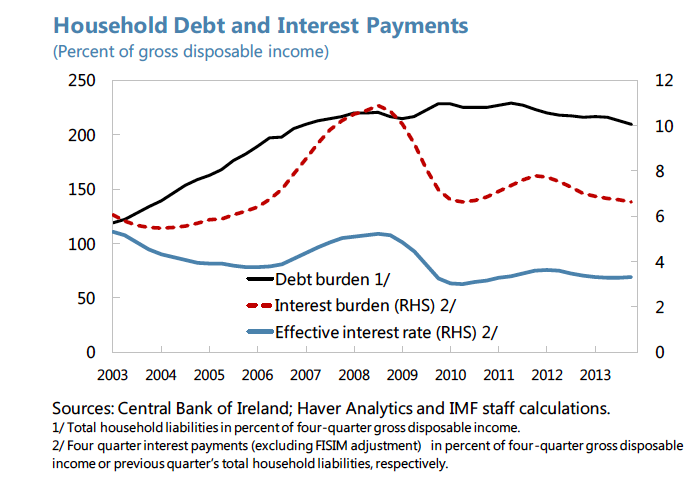 Now, lets take a quick look at the state of Irish households' balance sheets… Note: I covered outstanding credit to Irish households here. 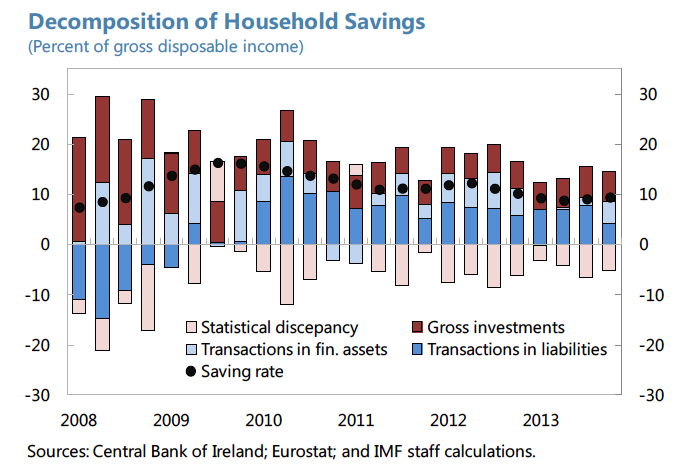 Again, per IMF: "Household savings remain elevated, with three-quarters of savings devoted to debt reduction since 2010." Which practically means that savings and investment are now decoupled completely: we 'save' loads, we 'save' primarily to pay down debts. We, subsequently, invest nearly nada. What is going on? Especially since the recent 18 months should have registered significant debt reductions due to insolvencies and mortgages arrears resolutions acceleration? 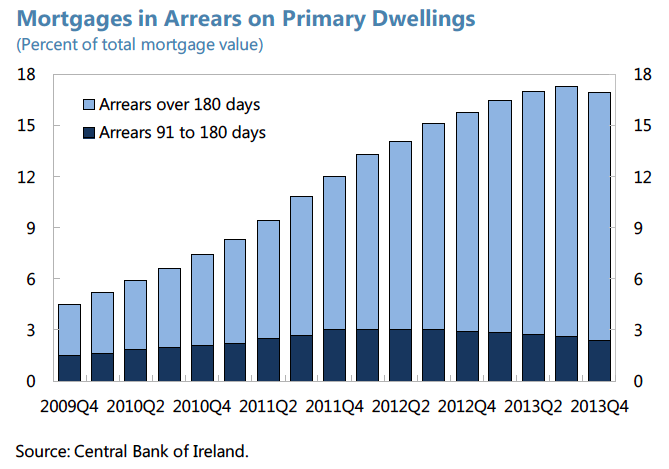 Ah, of course, that is what is driving the aggregate debt figures (although in many cases the debts are actually rising due to mortgages arrears resolutions, plus sales of debt to agencies outside the cover of Irish Central Bank, like IBRC mortgages sales). It's Happy Hour in the banking rip-off (sorry, CBI, profit margins rebuilding) saloon... All along, households are still under immense pressure on the side of their debt overhang.